No one is born with the ability to drive. Driving a vehicle takes patience, time, and lots of practice. 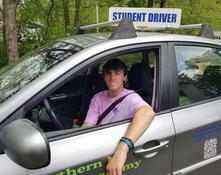 Northern NY Driving Academy offers private driving lessons that will get you out on the road and help you to learn the skills you will need to know for the rest of your life. NNYDA provides a fully licensed and insured vehicle with duel brakes. Pick-up provided in the Plattsburgh city limits. Our cars and instructors are also available for the Road Test. NOTE - MANUAL TRANSMISSION LESSONS ARE NOT AVAILABLE AT THIS TIME.